A surprisingly harmonious blend of 50% Nero di Troia with 35% Merlot and 15% Syrah, grown on clay-rich soils. It is both rich and velvety with abundant red and black fruits with a fresh, but enveloping finish featuring notes of fresh tobacco and delicate vanilla. This unique blend makes a truly inviting and satisfying wine. "Sourced from clay-rich vineyards outside the coastal town of Trani, this blend of 50% Uva di Troia, 35% Merlot and 15% Syrah is slightly jammy on the nose in aromas of stewed red and black berries, with a dusting of coffee and crushed herbs. There’s a pleasant roundness and plushness to the palate, where the fruit profile seems fresher in nature, accented by streaks of spiced game and cocoa nibs. 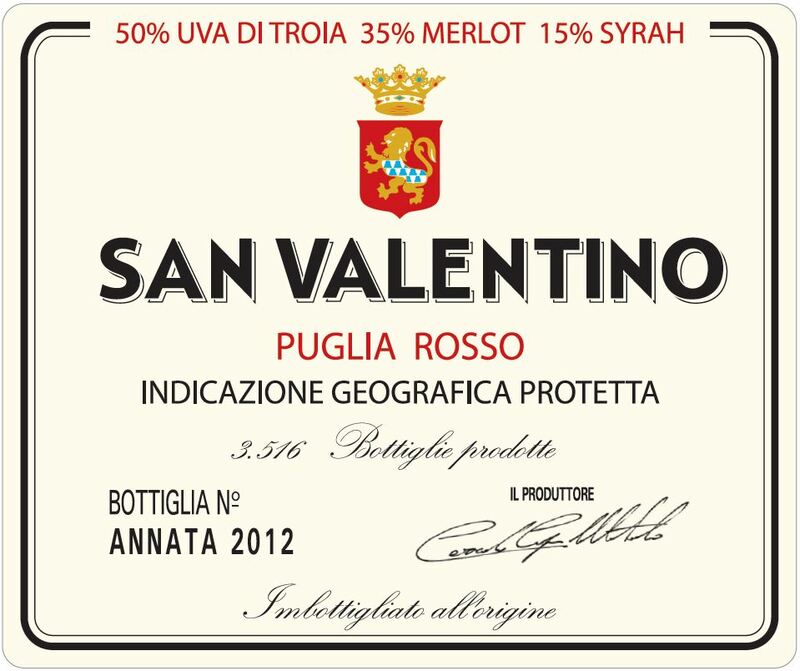 Soft and approachable, there is just enough tannic and acidic cut, enjoy this wine for its immediate appeal." - A.P.